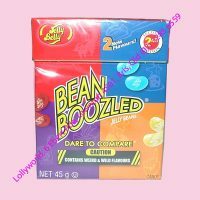 Bean Boozled Beans made by Jelly Belly. This pack has a mix of nice and not so nice flavours. For example the Chocolate Pudding bean looks just like a Dog Food flavoured bean. The only way to know which one you have is to eat it. 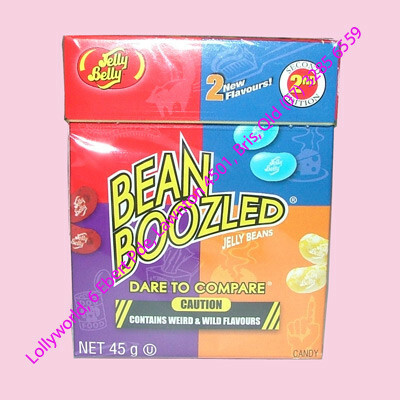 Be warned there is some gross flavours mixed with the nice flavours and they are always bringing out new editions.